December 12, 2014 December 12, 2014 by Arden Jobling-HeyLeave a Comment on This Is Thirty. Two hours to go. One hour and fifty-two minutes to be exact. But hey, who’s counting? Thirty. What does it mean? Nothing much. I mean, 40’s my scary age. It’s the age I remember my parent’s being when I was little. Thirty? Well, thirty was the age of successful businessmen and women who had tons of money to spend on wine, houses and I don’t know… travel? With wine in hand, sitting inside a house I rent, looking forward to an upcoming weekend in Boston, I figure I’m on the right track, no? Well, that’s just the thing. I have absolutely no idea. 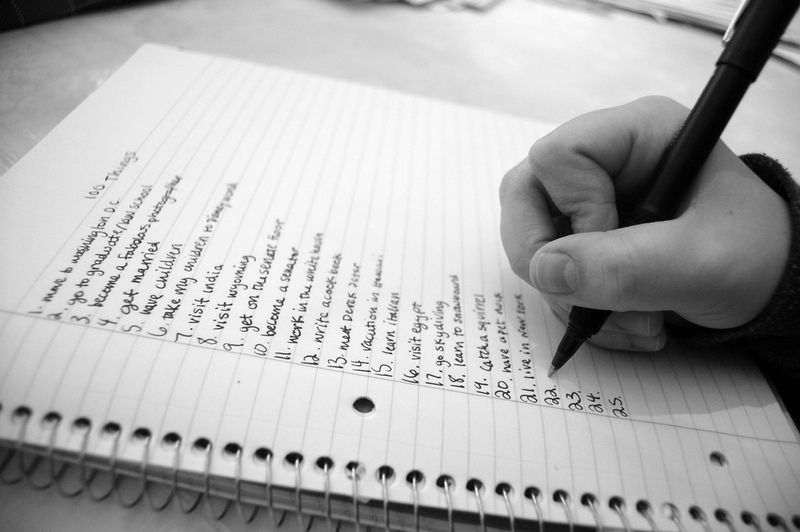 Brainstorming a Bucket List for the Everyday: What’s on your list? November 14, 2012 November 14, 2012 by Arden Jobling-Hey15 Comments on Brainstorming a Bucket List for the Everyday: What’s on your list? I was in the car this morning on my way to work, when I popped in a CD from my carefree days at Ottawa University. In between Carrie Underwood belting out the lyrics to “Before he Cheats” and Sarah Brightman serenading me with a wicked rendition of “Deliver Me“, I came across a song by Tim McGraw’s called “Live like you were dying”. If you know the song, you know that it’s all about what you would do if you knew your days were numbered. If you haven’t heard this song before, you can listen to it here. As I listened to the familiar words of the song, I realized that while, to date, I’m extraordinarily content with where I am in every aspect of my life, there is always the possibility that I won’t be around – forever. My husband thinks talking about death is morbid. I, on the other hand, have a running list of music to play at my ‘celebration of life’ should I make an exit earlier than planned. And thus, I started contemplating the makings of a Bucket List. When you actually down sit to write one, you discover that it’s a bit of a daunting task. Sure, there’s the obvious ones like travel: easy right? So where do you want to travel? Anywhere I haven’t been. No wait! I have to be more specific. South America? Oh, and Western Africa. And the Middle-East. Oh you mean countries! Argentina, Peru, Jordan, Kenya, etc. etc. etc…. and there goes the entire point of making a Bucket List in the first place. No, you can’t have it all. But yes, you can try. It’s not easy to articulate the things you want most in the world. After all, including certain things means the exemption of others (or having a list as long as your arm). A few friends of mine have taken a more specific approach to the creation of a Bucket List. While one set a more generic “30 under 30” goal, challenging herself to visit 30 countries by the time she reached 30, another created a more specific “40 things to do before 40” and she’s well on her way to checking things off the list. While I’m currently working on my list. I have no idea what shape it will take, but I know that I need to see my goals on paper: it’s time.